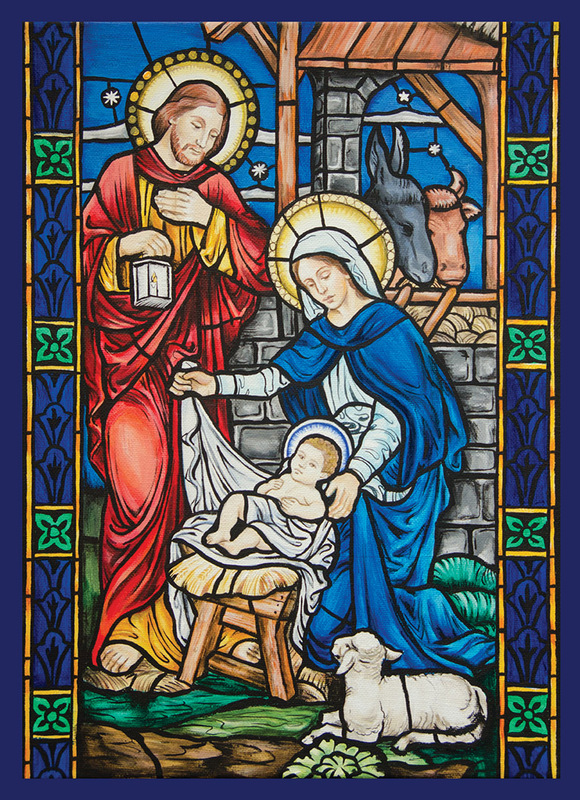 This year we collaborated with artist Kelly Klages to create two new Christmas cards with stained glass and illumination nativity scenes. Kelly Klages is a native of Baltimore, Maryland. She earned a degree in Studio Art from Goucher College in 2003 and interned at Beaumont Pottery in Phoenix, Maryland. In 2004, Kelly married Alex Klages and moved to Winkler, Manitoba, where Alex was called to serve as pastor to two congregations in the Lutheran Church-Canada. Kelly’s work has been on display in various galleries and locations throughout southern Manitoba, including the Pembina Hills Art Gallery, the Tiger Hills Art Gallery, and the Manitoba Legislative Building in Winnipeg. Over the years, Kelly has taken a special interest in detailed portraiture, liturgical artworks, and miniature painting. Her primary medium is acrylics, but she enjoys experimenting with many forms of art and crafting. In 2011, she created a book of illustrated hymns for children called Hosanna, Loud Hosanna, using colored pencil. She maintains a blog about Lutheran art at Confessional Lutheran Ecclesiastical Art Resources (CLEAR). Kelly Klages currently lives in Morden, Manitoba, with her husband and three children: Anastasia, Micah, and Timothy. *These new cards will be available for purchase on our website within the two weeks. Subscribe to our email updates in the right-hand column or “Like” us on Facebook to keep updated! 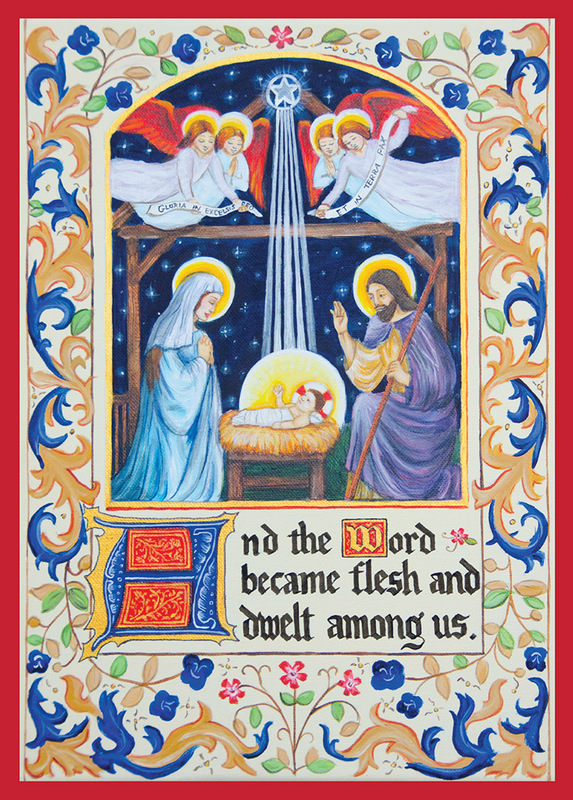 This entry was posted in Latest News and tagged Christmas cards, Illumination, Kelly Klages, The Holy Family. Bookmark the permalink.